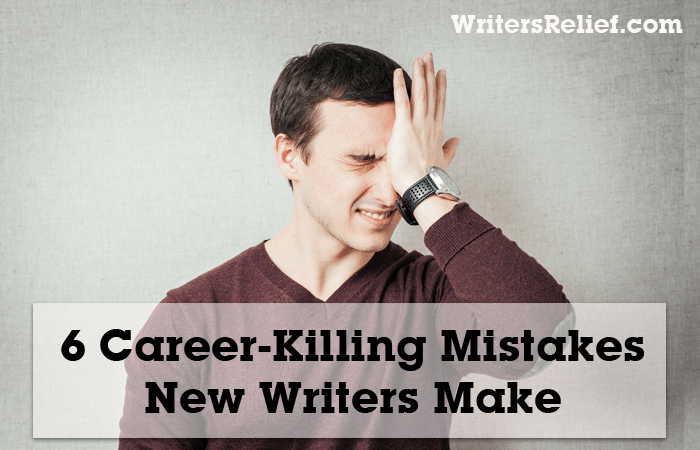 6 Career-Killing Mistakes New Writers Make - Writer's Relief, Inc.
Here’s the bad news: Many new writers will start their writing careers doing everything wrong. But here’s the good news: Making mistakes is an integral part of an author’s learning process! The writers who learn from their mistakes and are willing to adapt, learn, and grow are the ones who will reach their publishing goals. 1. An “anyone can be a writer” approach to craft. Many writers never advance beyond “amateur” because they do not believe they need to seriously pursue a study of the craft of writing. But if you hope to succeed as a writer, you need to hone your skills. So read. Study. Learn. 2. An “I don’t need to do research about the industry” attitude. Writers who don’t believe they need to learn about query-letter writing techniques or who don’t research the appropriate literary journal markets for their submissions are often writers who are destined for rejection letters. Take the time to learn how the publishing industry works and what is expected of you as a writer. 3. A helter-skelter approach to making submissions. Some writers submit work for a few months, then give up. Others submit once in a while, then falter, then attempt to start again with little enthusiasm. Not having a strong submission strategy is like planning to run a marathon with no preparation. The good news (the best news! ): Writer’s Relief exists to help writers develop a personal submission strategy that works. Let us take care of your submissions. 4. Falling victim to unscrupulous flatterers and promises. Writers have big hearts and big dreams—and that makes them big targets. From publishing companies that promise lots of marketing support to literary agents who promise a book deal only if the writer will pay upfront fees, there’s no end to publishing industry dangers. Approach all publishing partnerships by asking smart questions—don’t let your emotions rule. 5. Getting stuck in a series. Many new writers get “stuck” by emotionally committing themselves to a series idea when they don’t yet know the ropes of the book biz. They fail to challenge themselves or to try new things. But it’s the writers who push themselves beyond their comfort zones who will discover their true potential. 6. Confidence problems. Too much confidence can lead to presumption, arrogance, and etiquette mistakes. Too little confidence can cause a writer to be unnecessarily timid about making submissions. The key to success is cultivating a balanced, practical self-image as a writer. Learn more in our book The Happy Writer. QUESTION: Which point from the list above strikes you as being the most common mistake?